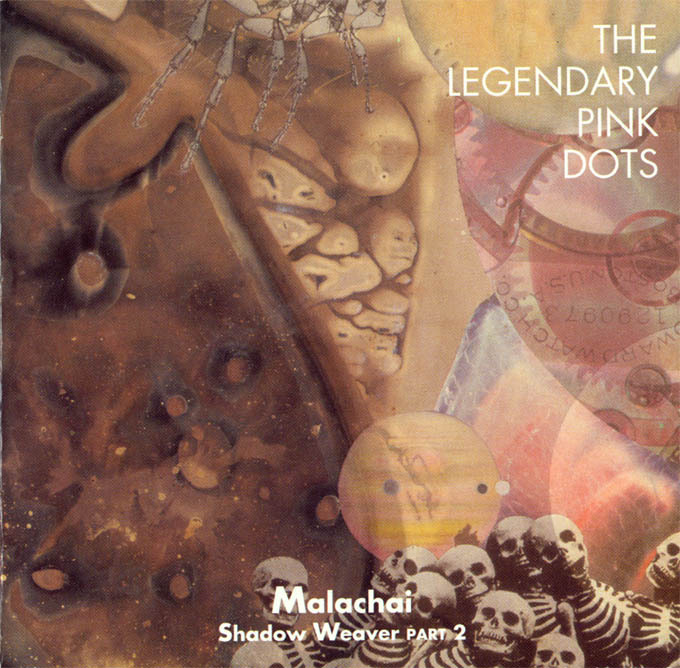 The Legendary Pink Dots, "Malachai (Shadow Weaver Part 2)"
Produced by Steven Stapleton and the Pink Dots. 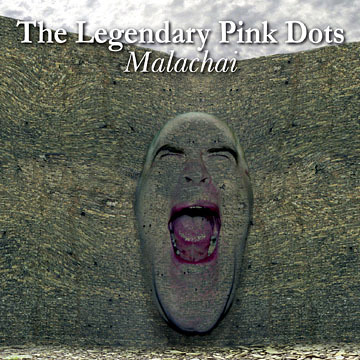 Engineered by Vincent Hoedt, X-Ray Alley and the Pink Dots. (Behold a human brain. What wonders lie within?) Cable kings got satin swings, got radiation, save-us thing, got fingers, news at ten, those faces fear temptation, over rainbows, mambo, Tower of Babel, running lead, exploding heads, oh, the naked and the dead, and sometimes both, soft focus, Asterisking, you see cables pumping sperm for all the family, one horizontal sucking on their full frontal lobes. The psycho shot o'er the cuckoo's nest, electric eyes in blue-light haloes, burst effects, your window on the world, shot down chain rocks, smoke alarm, yeah dial a six pack, sink back, fold your arms, meet Jesus, suffer little children, peace on earth, we're watching Scuds and blood rain down, wiseguy rabbits breeding, bleeding, dies for us a hundred times a day. Exclusive here on CNN, the resurrection in slow motion, I can feel those holes, they got the anti-Christ got the horsemen, saturating (stiff?) monopolize, the whole world dies before your eyes, take that. Zap! Thursday was a good day. He'd be turning up at nine, he'd be turning down the lights, he'd be breaking out the wine. Made it whoopee on the settee, shared a candle, split a line. Made it happy in the chandeliers. Mind-mind-mind-link. I think we really could get on together. Mind-mind-mind-link. My planetary choo-choo girl, you got me in a superwhirl. I'd climb out to the Milky Way. Mind-mind-mind-link Take it away brothers. We bring the day, so cease your lonely mourning. The shadows shrink away and leave without a warning, gone in the blink of an eye, gone with the wind that subsides. We bring life. We fill the deathly silence. One thousand butterflies are dancing on the pylons. Seek and you'll find. We guard you from the borders. When all your hope runs dry, we'll sprinkle holy water. Pulling the strings from above and all because we love you. We love you. We love you. We love you (despite you).